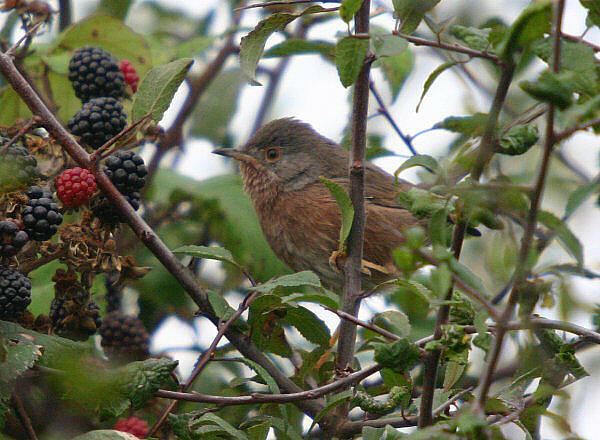 The first record of Dartford Warbler occurred on the 5th October 2005, when 2 birds were found in Bramble scrub near the large target mound on Northwick Warth. At least one bird remained here until the 12th October. 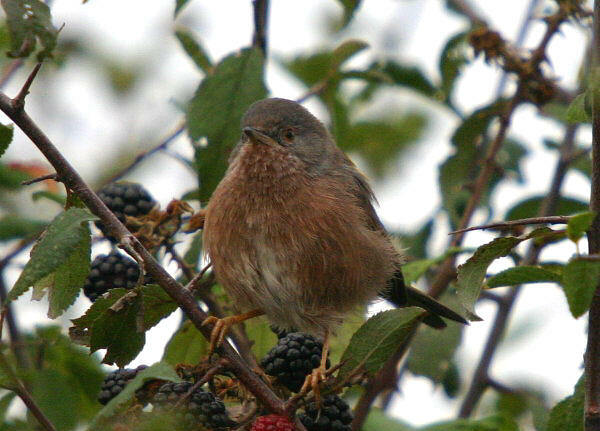 The birds were typically flighty between bushes but occasionally could be seen feeding on ripe Blackberries. The bird below was heard several times singing quietly from deep cover. The bottom picture was thought to be different bird, found south of Severn Beach on 31st October and remained until at least 1st November. 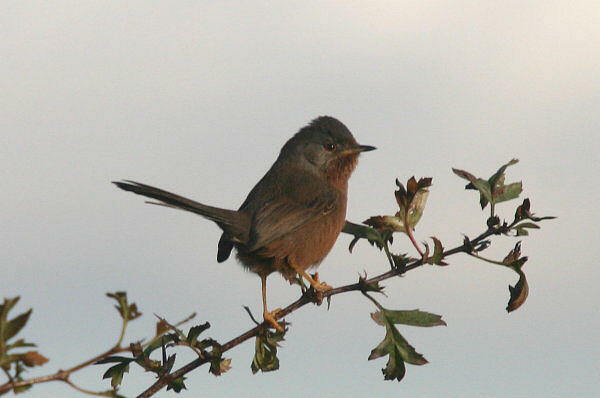 The next records were also at Severn Beach 1st April 2006 and in October 2015.